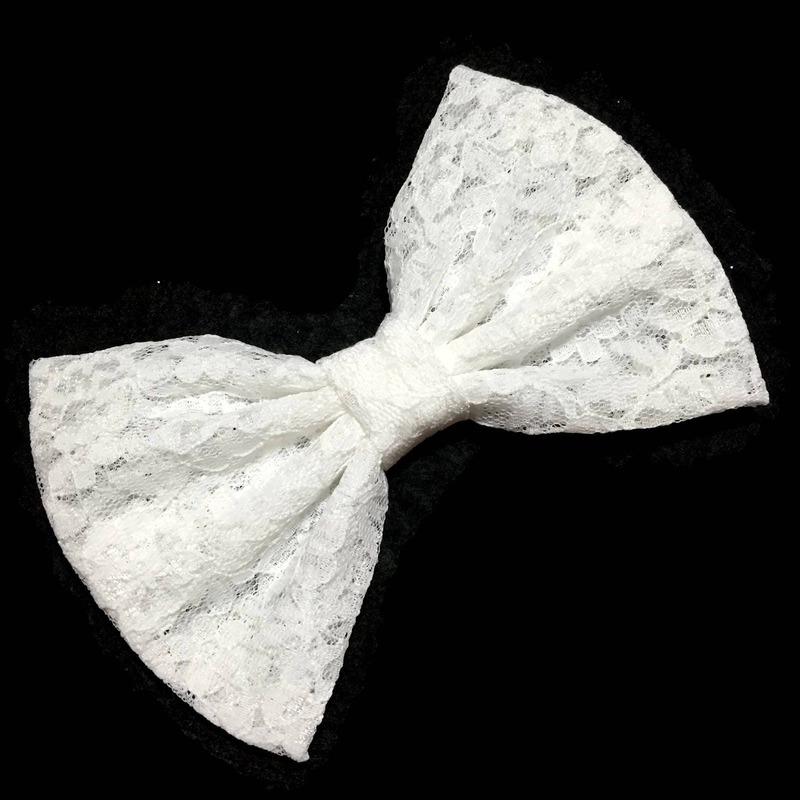 This is a white lace hair bow, is a very elegant and chick and would enhance any outfit. 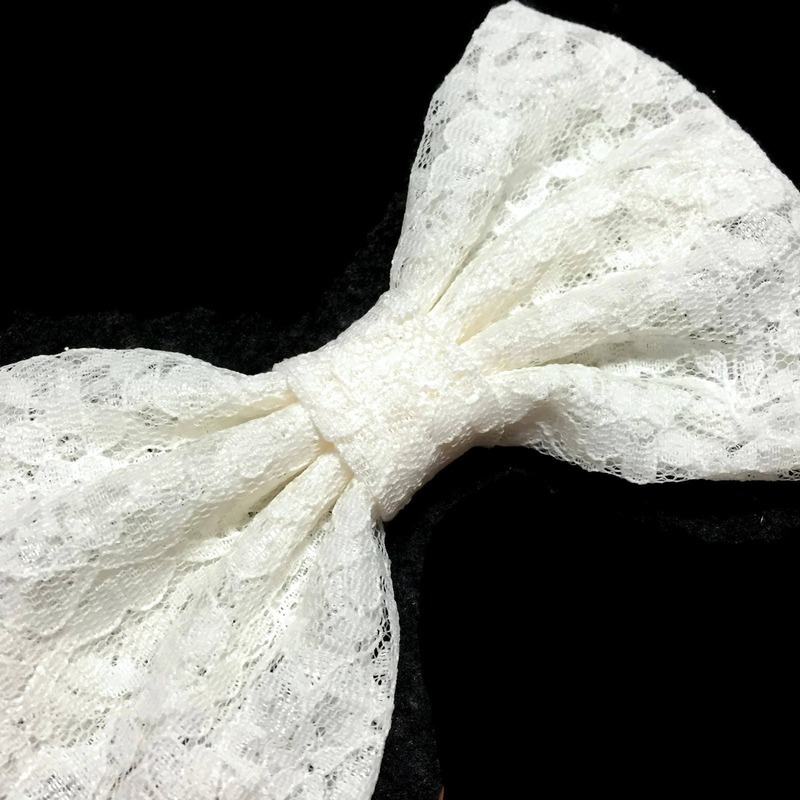 it is perfect for a special occasion, a wedding , anniversary, sweet sixteen, etc. 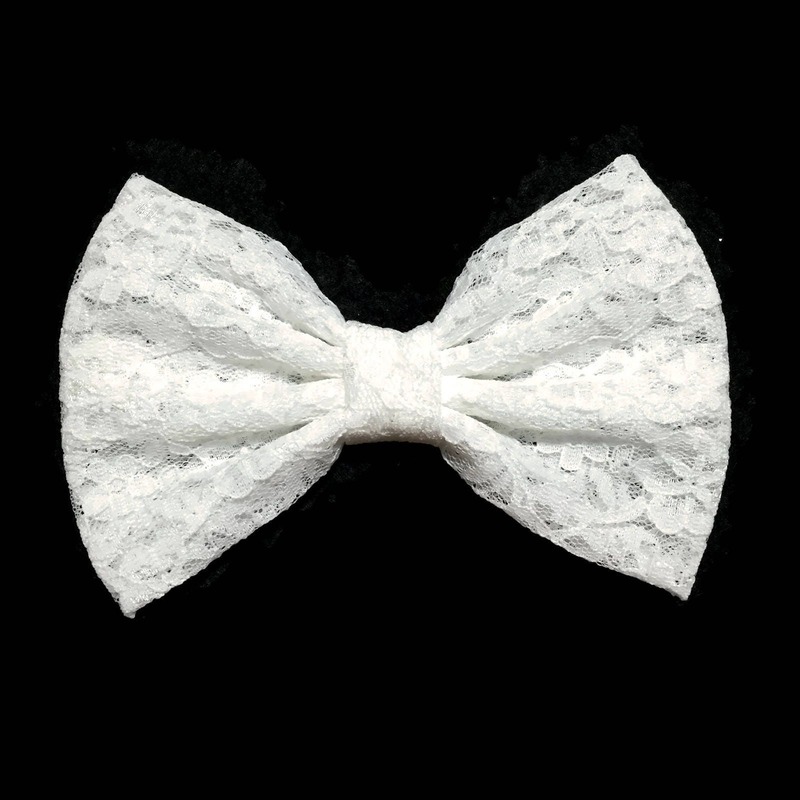 but at the same time is is suitable to wear it to church or for a birthday girl. 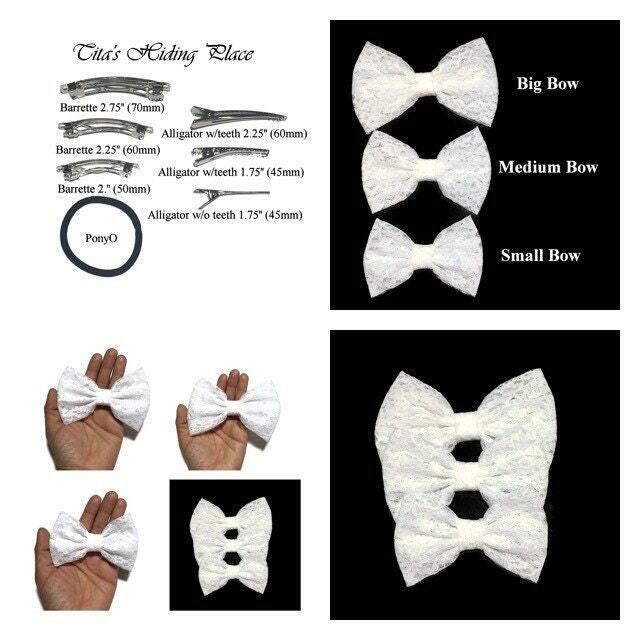 The hair bow can be wear at the side or in the back of the head in a pony tail or up do. 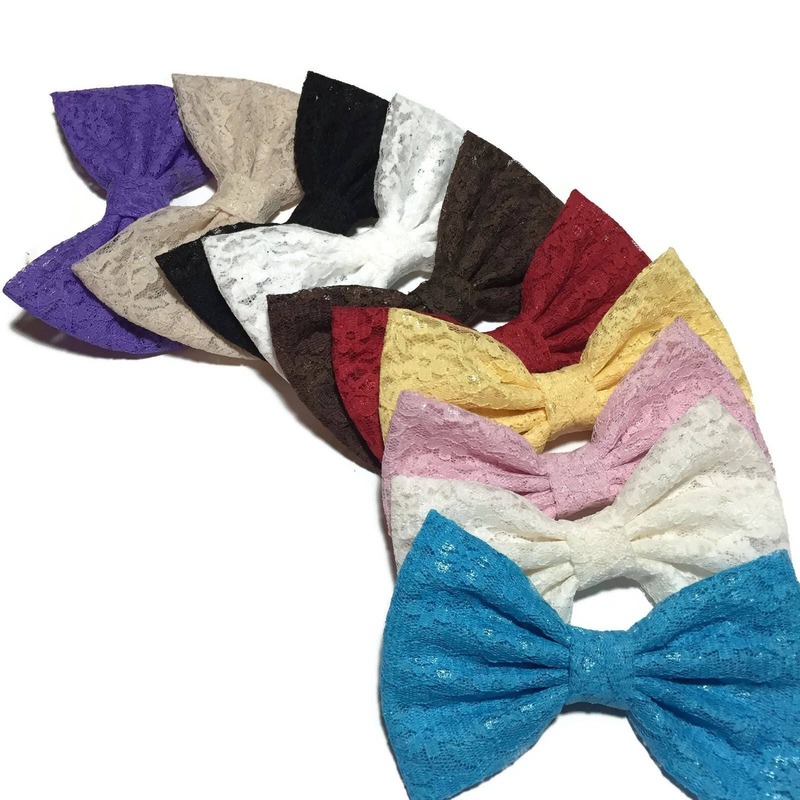 it would look fabulous not just in little girls, it would also look fabulous on teens and adults, too. 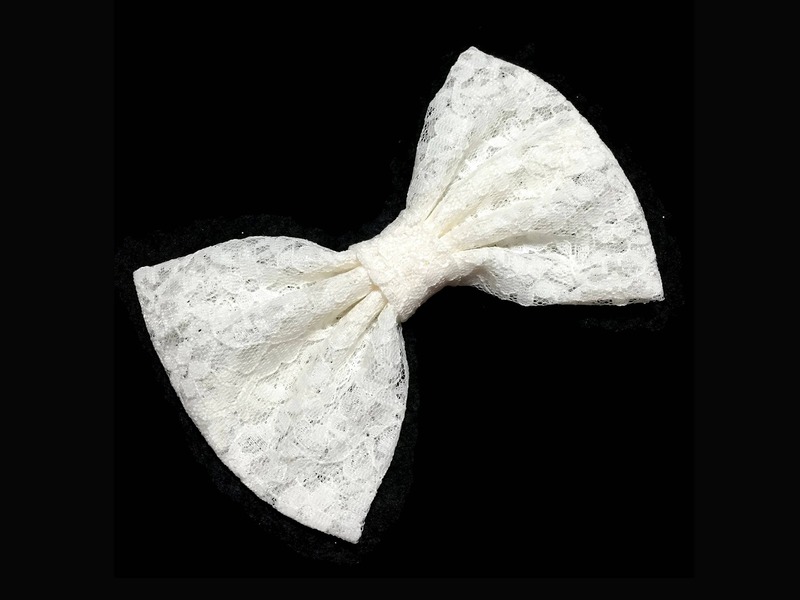 -This champagne hair bow is handmade on lace fabric.